The town of Antequera is blessed with waterfalls and karst caves, not to forget the Abatan River, “Tubig Daku” and the Boho Spring. These natural wonders are now often visited by local as well as foreign tourists. Aside from these natural beauty spots, the town of Antequera also receives visitors in search of their well-known cottage industry: basketry. Baskets are displayed at the town’s market every Sunday. 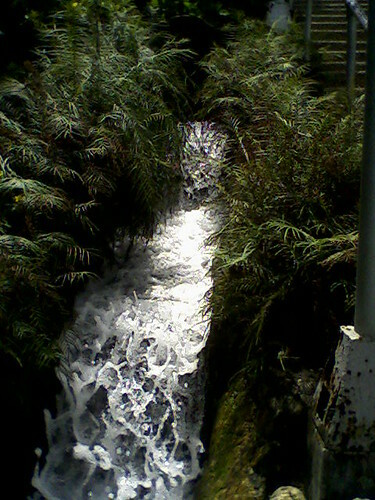 The Inambacan Falls is another beautiful cascading waterfall also in a forest setting. Its estimated output is about 8,000 gallons per minute which all drain to the Abatan River. Only one kilometer from the Poblacion of Antequera, the falls is a potential source of water supply for drinking and irrigation. The Inambacan Cave is located at barangay Villa Aurora, two kilometers from the center of Antequera town. The caves’ special feature is the cavern with small stalactites and stalagmites which is often submerged in flowing water. In one area, the water may go over 1.20 meters deep where only a mere 30 centimeters of space remains before the ceiling. Visitors may take a delightful swim in its underground stream which has been traced by cavers for 8 hours yet the stream’s end was never established. Local guides are necessary if one goes spelunking in the area. Traces of Eskaya writings were found inside the cave by Engr. Jes B. Tirol of the University of Bohol that dates back to 600 A.D. The Antequera Cave is located in a village of Antequera town. The cave, where a summit pit is grown over with ferns, is known to be the home of pythons. It is otherwise called as the “snake pit”. The snakes feed on rats from the nearby fields. Sunday market at Antequera has its share of visitors who come in search of the town’s well-known cottage industry – basketry. Antequera baskets, from the smallest to the biggest size, are displayed every Sunday at the town’s market. Hailed as the Basket Capital of Bohol, Antequera has its share of visitors who come to see the baskets on display. These woven crafts are made out of wicker, rattan, bamboo, buri, nito, sig-id and other native materials and have eventually found its way to the international markets. Basket weaving has been the town’s main cottage industry for years.